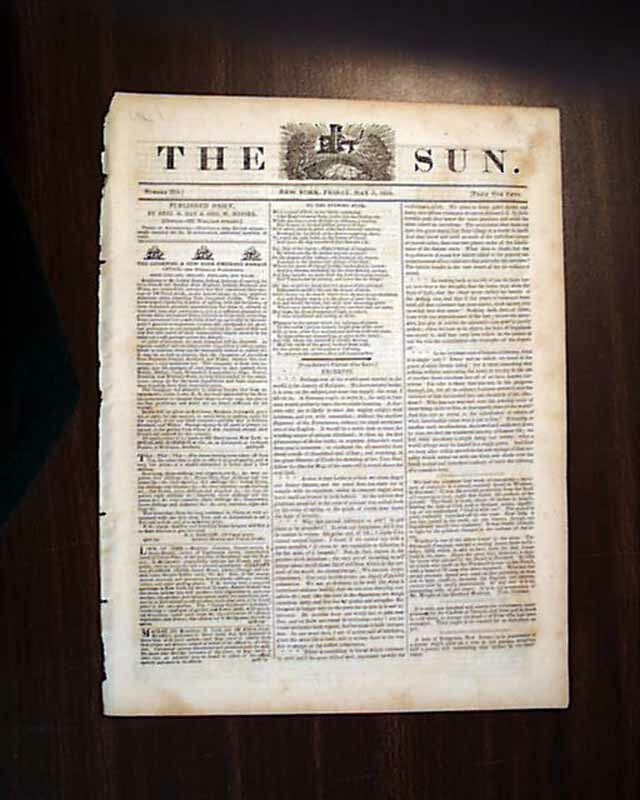 THE SUN, N.Y., May 9, 1834 Pg. 3 has a report about an accident on the Camden and Amboy Railroad, when two engines travelling in opposite directions made contact at a curve. 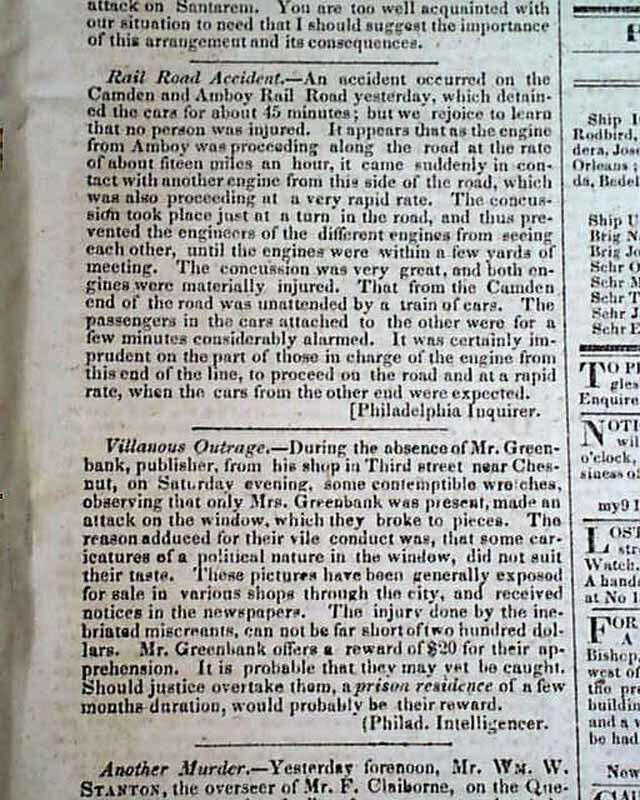 The Camden & Amboy RR was the first RR in New Jersey and one of the earliest in the U.S. May be one of first railroad accidents! 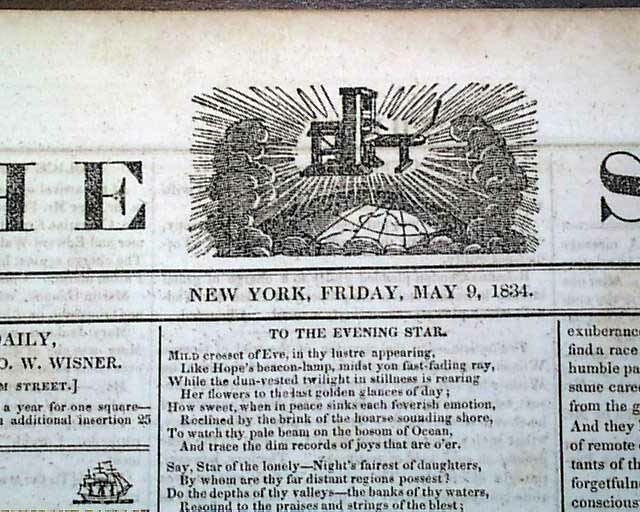 Other news of the day includes: "Another Murder" "Police Office" and more. Several interesting advertisements as well. Quarto-size, 4 pgs., archival mends to two inner margins tears.